Lemax Santa's Workshop Sights & Sounds table piece depicts a busy Christmas time at Santa's toy workshop, with his helpers, the elves having fun amongst the busy schedule. Figures rotate around Santa on the second story of the workshop, whilst the elf helpers move back and forth with gifts on the first story. Santa is unable to see the Elf having fun on the rocking horse instead of working! All figures move to a musical and vocal soundtrack, whilst external and internal lights illuminate the scene. Lemax Santa's Workshop is an illuminated building suitable for placement in and amongst a seasonal Lemax village Christmas scene. 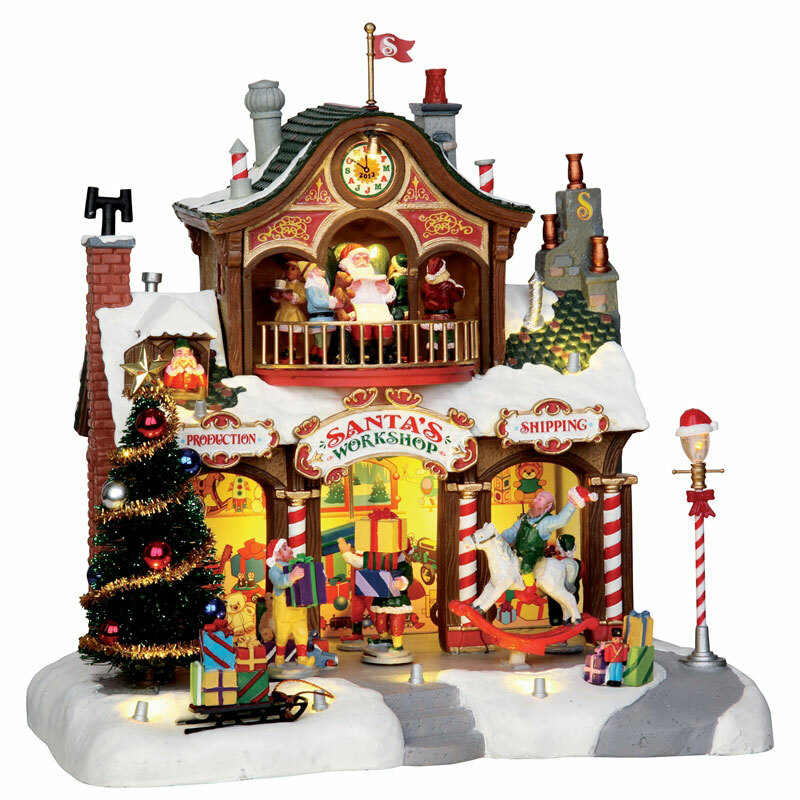 A unique Lemax Santa's Wonderland Village themed collectable table piece which joined the Lemax collection in 2013. Santa's Workshop offers a delightful self standing porcelain building on an individual snowed base to compliment your seasonal Lemax Village.